Textured and smooth foam rollers have been around for awhile to help athletes and average Joes alike work out muscle aches and pains through self myofascial release. But there is a new subset of foam rollers that have been making waves---vibrating foam rollers. Vibrating foam rollers combine a vibration therapy and deep tissue therapy into one. Various studies (1, 2, 3) have shown that vibrating foam rollers have increased ability to withstand pain, faster recovery time, and greater increases in range of motion when compared to regular/standard foam rollers. Selecting the right vibrating foam roller is important and can mean the difference between aiding in muscle recovering and making you feel worse. On the low end are vibrating foam rollers that are made out of material that is not as dense and with speed settings that are either not adjustable or with less gears. On the high end are rollers made with high density foam (either textured or smooth) and have up to 4 to 5 speed settings. But just because a foam roller is on the low end of the price spectrum doesn't mean it doesn't work as well. It just means that you will need to know ahead of time what your preferences are. As far as length goes, vibrating foam rollers don't usually come longer than 17 inches (43 cm) because of cost and efficiency; it is not necessary or cost effective to build a motor for a larger foam roller because no more than 17 inches (43 cm) would be used at any one time. The bigger the surface area, the bigger the motor needed to operate. This Vulken roller contains environmentally friendly materials and air injected plastic. It vibrates at four distinct levels, that include low, medium and high speeds. Their roller effectively penetrates muscles and alleviates stiffness. This vibrating roller is 17 inches (43 cm) in size and has a rechargeable battery that remains charged for over two hours. This elongated, thin shaped roller is portable and stretches out your muscles before your workout. This NextRoller roller vibrates at three speeds and has a hard-plastic durable built. 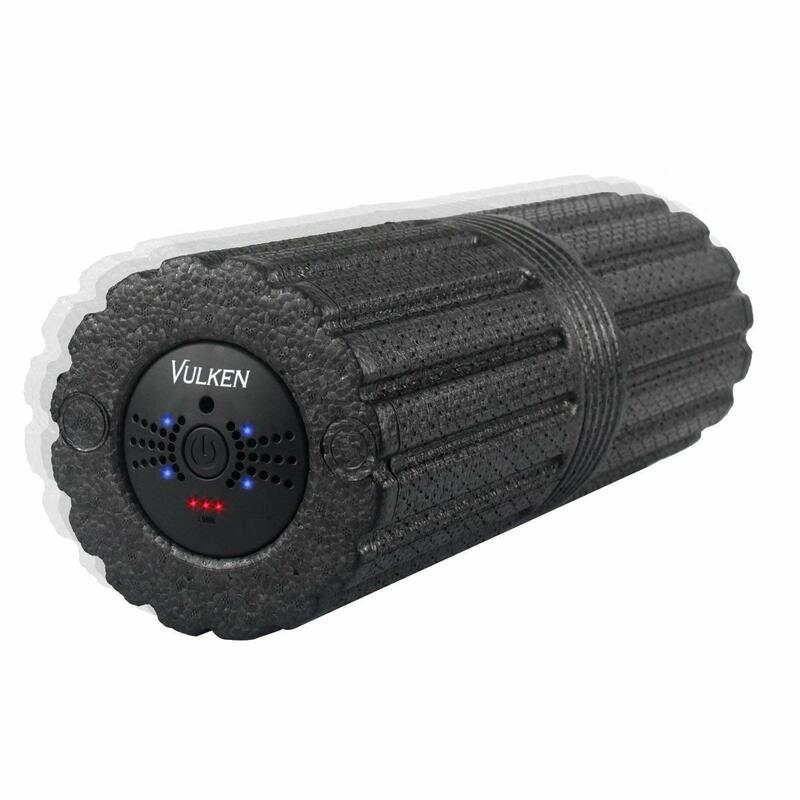 The texture of this roller reaches deep down into muscles to relieve pressure and promote mobility. 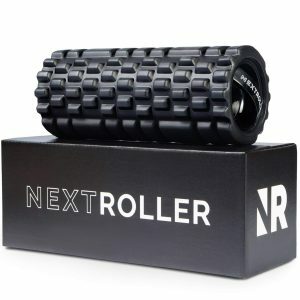 This muscle roller delivers self-massages and myofascial release to your legs and more. This foam rollers ergonomic handle is on top, so you can carry it where ever you want. The rechargeable battery lasts for a two-hour interval, and the ridges pinpoint pressure areas. The slender design fits into the curves of your body to get rid of the pain in sore muscles and joints. 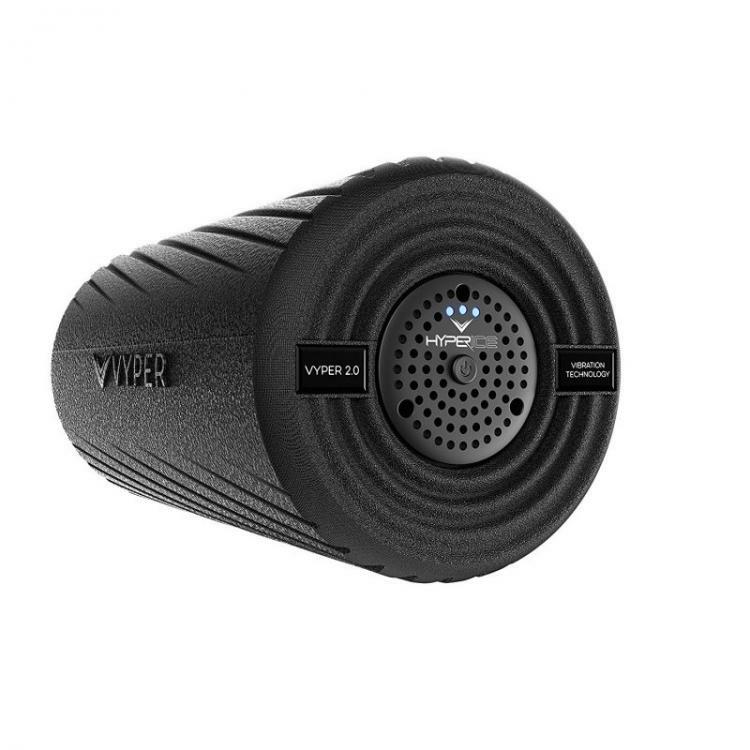 The Hyperice Vyper fitness roller has three vibrational speeds that reduce muscle soreness, increasing flexibility and circulation. The vibrational settings transmit superior amplitude and deep muscle activation. The 2.0 comes with some noticeable changes than its first iteration---mainly it is smoother. This vibrating foam rollers outer shell has a dual-zoned exterior and smoothed, grooved exterior design, so you can roll it on the various parts of your body. The durable structure keeps you balanced when warming up and stretching. 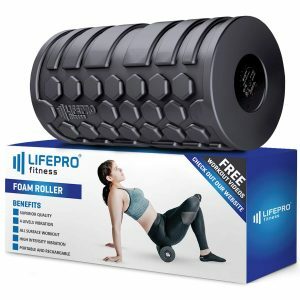 Like many others on this list, this foam roller is not full-size, thus allowing you to easily carry it with you wherever you go. The LifePro vibrating roller has for settings of high intensity to massage your pressure points and alleviate stress. The outer cover contains a softer material that adjusts to the curves of your back and neck. The rechargeable battery lasts a long time, and there is a drawstring bag that comes with it for transport. The foam roller comes with an e-book and access to an online library with video tutorials. This foam roller can adjust to differing levels of comfort by having up to 4 vibrations speeds (up to almost 4,000 vibrations per minute). 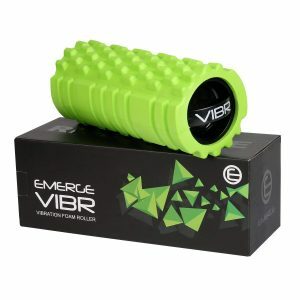 The Emerge Vibr has three vibrational speeds that reach deep into your muscles. It is 13 inch (33 cm) and 6 inch (15 cm) in diameter. There is a handle on the unit, so you can carry it anywhere, and the battery is fully rechargeable. The unit has flat and perforated grooves that fit into your muscles and workout tight knots. This vibrating foam rollers outer shell is durable and keeps you supported when performing stretching and rolling exercises. This roller has small rugged ridges that reach deep into tissues to increase motion. This Affix roller has a LED ring screen display that shows you the time and battery percentage. The eight-speed roller vibrates at a variety of speeds to reinvigorate and stimulate your muscles. The durable high-density structure does not break down or lose shape under your body’s pressure. There is a spin knob feature that lights up the multi-color ring, and perforated ridges that relieves your aches and pains. This roller is by far the most texturized roller on the list. You can tell just by looking at the picture. The MOVEMINT roller has three-speed levels that vibrate at 1,500, 2,500, and 5,000 vibrations per minute. 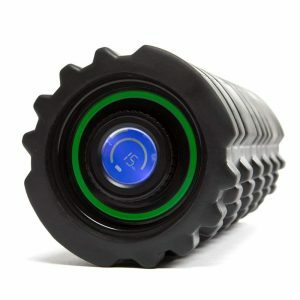 This vibrating foam roller's rugged ridges pinpoint your pressure points and give you a relaxing massage. The roller is made of sturdy EVA foam and has a handle for transport. This unit is designed to roll smoothly to alleviate deep tissue knots and pain. There is a rechargeable battery that lasts up to five hours when fully charged.